This week we keep the special guest train rolling with the legendary Tim ‘Dummy’ Olson. He is a pro Overwatch support player from team NRG and one super interesting dude. Aaron, Cory and Webb spend the hour talking to Dummy about all things Overwatch and we dive into his history the pro circuit. 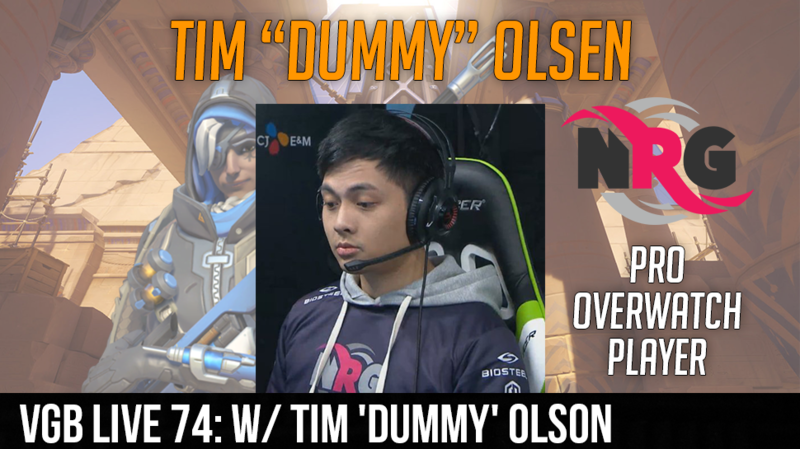 We get his opinions on the latest overwatch patch and how he believes it will effect pro play, we talk about TF2, Tim’s move down to southern California, his taste in expensive shoes and a whole lot more! Also on the show we discuss some Duck Hunt… The shocking Zero upset and the potential ban of the stage in competitive play. All this and so much more on this weeks episode of: Videogame BANG!